We are excited to announce that West Grand School District 1-JT, located in Kremmling, Colorado has begun installation of Harris’ School Financial Solution, AptaFund. 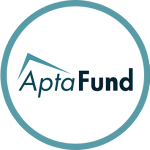 AptaFund is an Enterprise Resource Planning solution designed specifically for K-12 school districts that empowers Human Resources, Accounting and Administrative users to efficiently oversee and complete time-sensitive tasks. We are confident that AptaFund will be a great enhancement for West Grand School District!